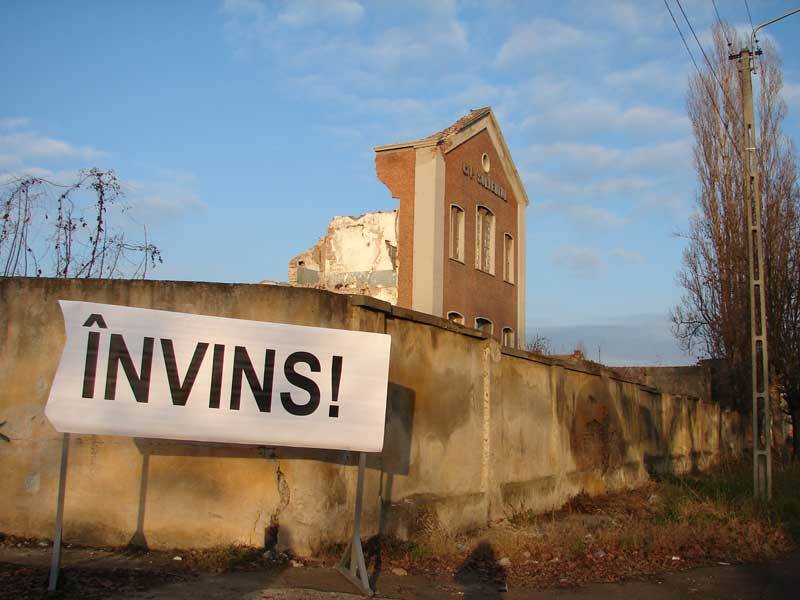 The rupture in the slogan reflects the missing of a brief moment of promise, when the power and solidarity of the ordinary people who took to the streets in 1989 hoping for a better life were sacrificed to the capitalist logic of profit. 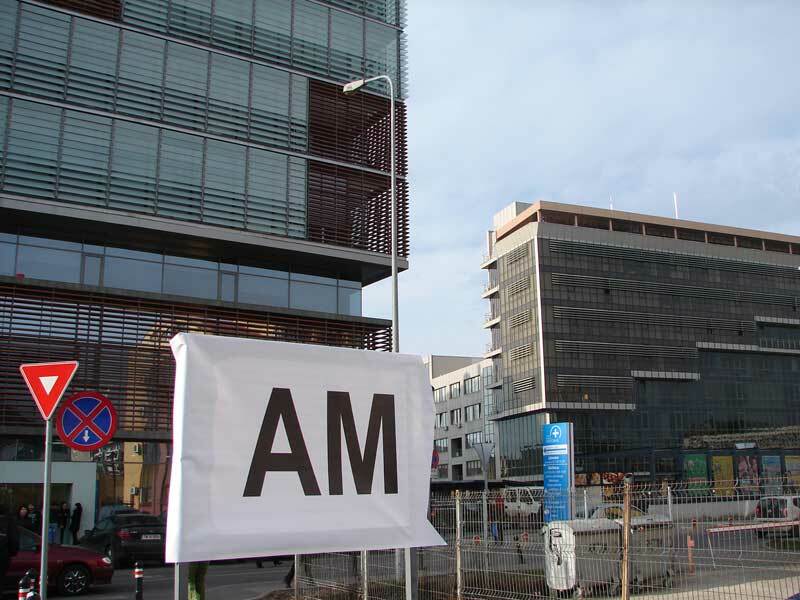 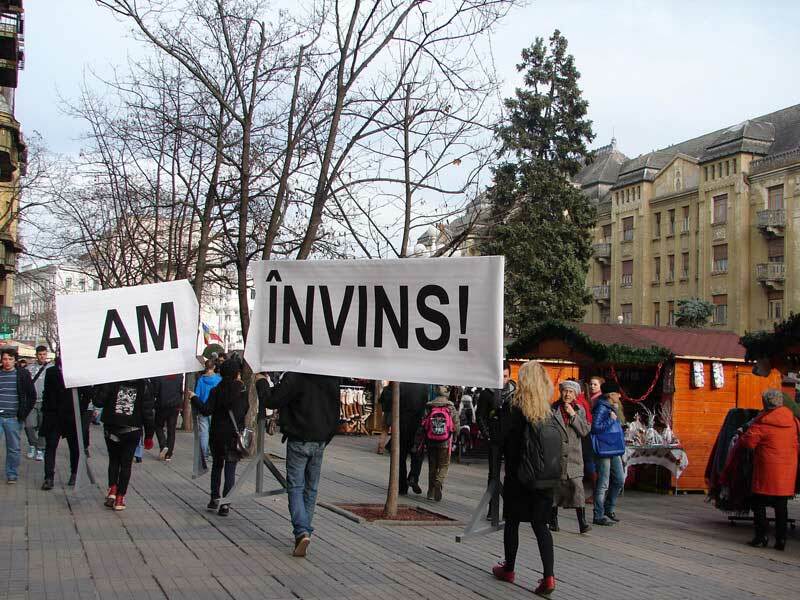 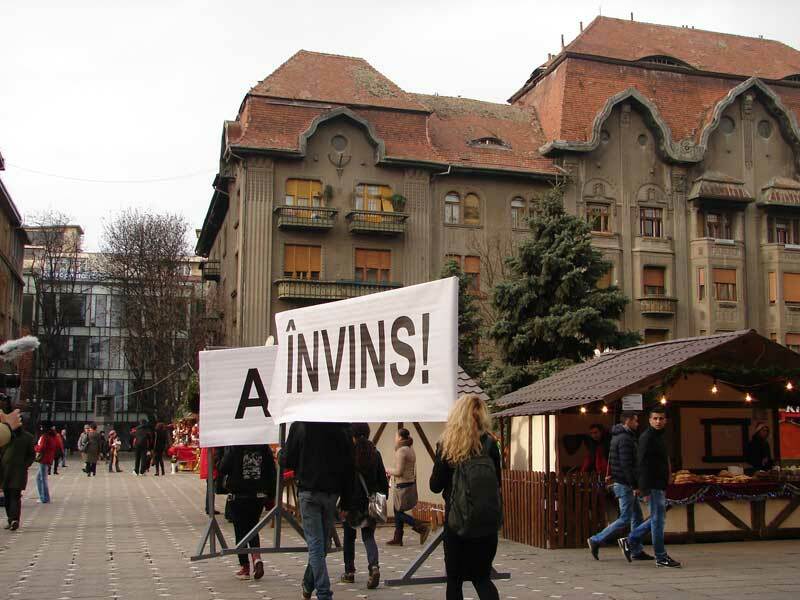 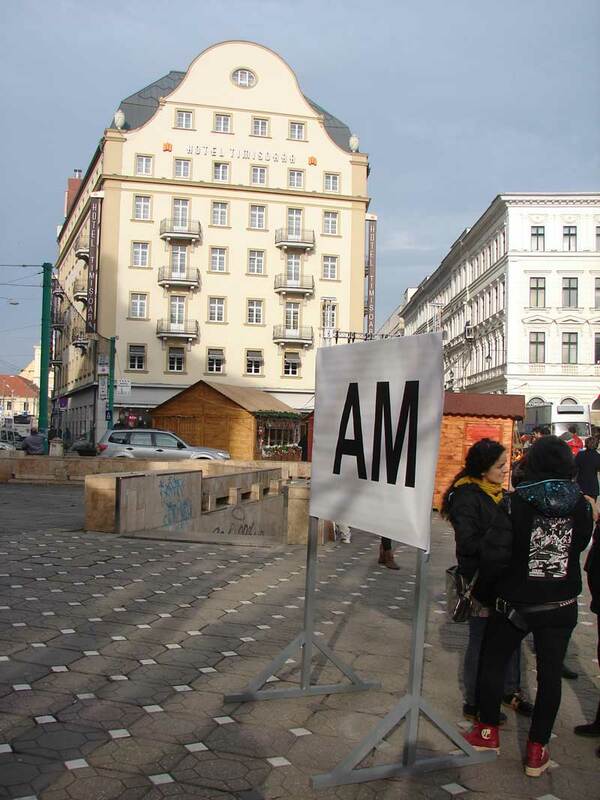 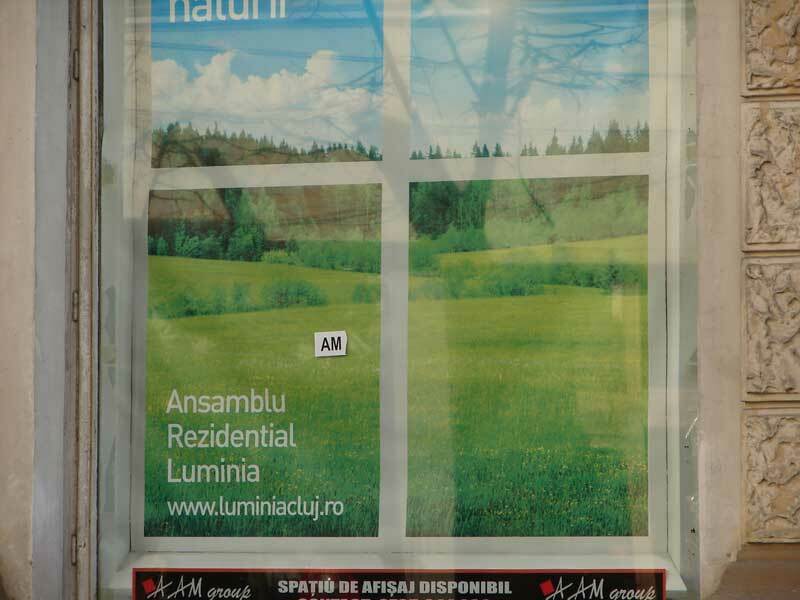 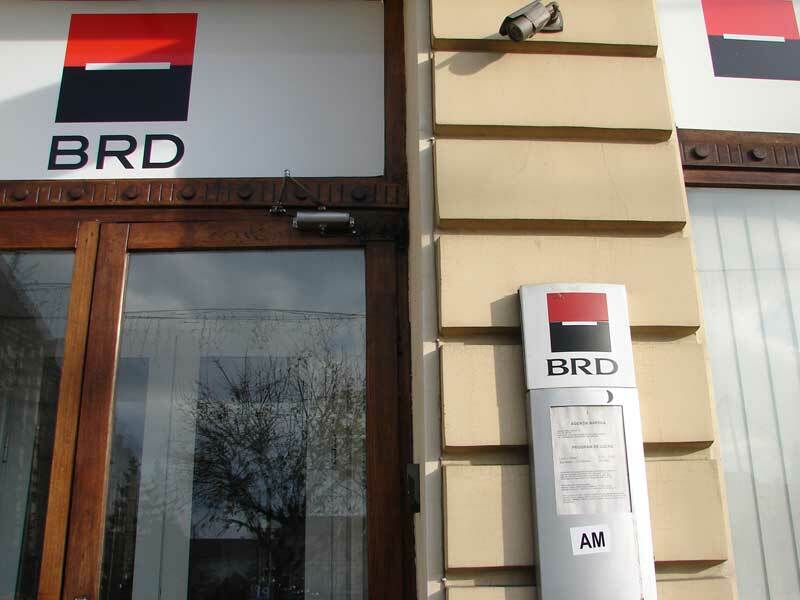 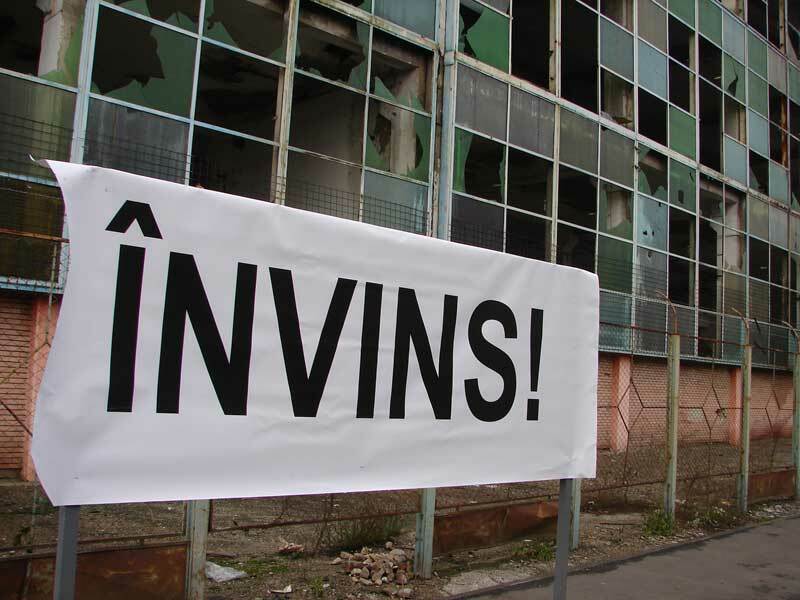 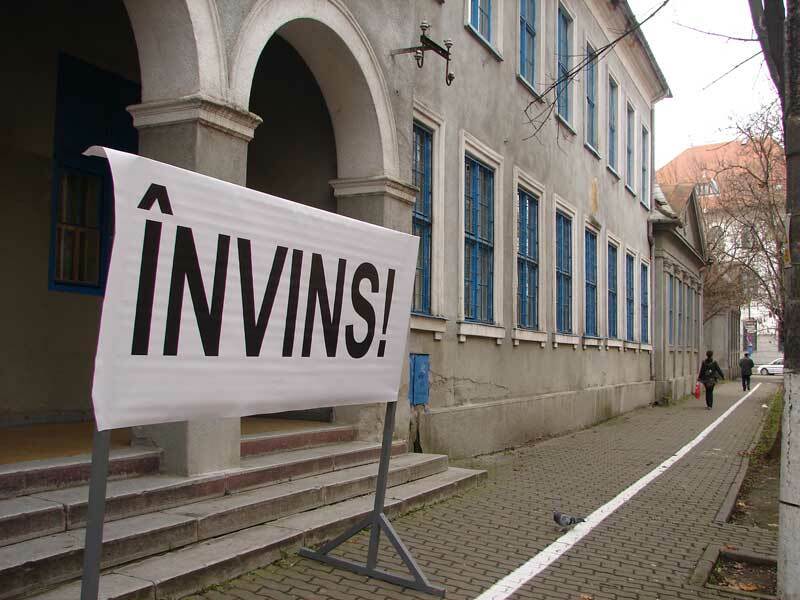 We expressed this rupture in our itinerary around Timi?oara and Cluj, carrying banners with the two words, sometimes separated, sometimes re-joined in the rhythm of our walk. 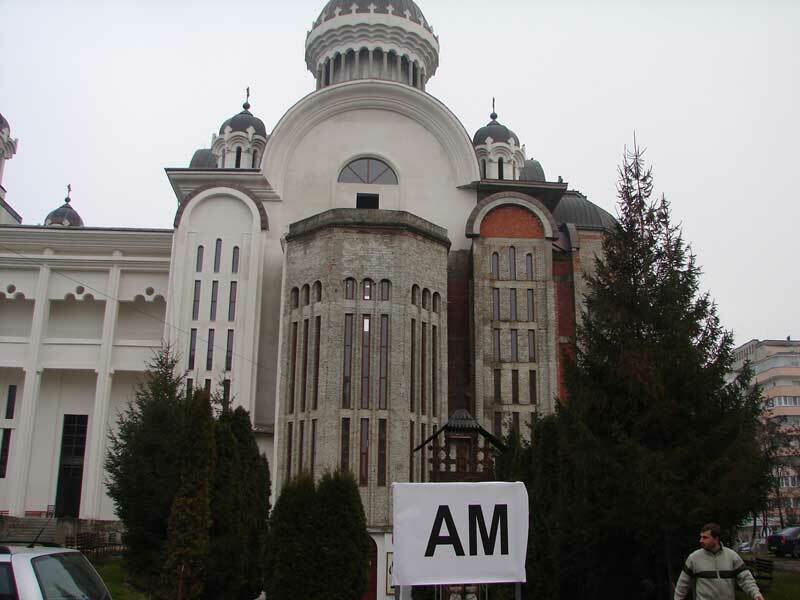 We stopped at venues symbolic for those defeated (places representing rights that seemed permanently won before 1989, such as free education and health for all, currently in the process of being lost for all) as well as venues symbolic for the winners of the revolution, those who have (the capital, the Church, the state as an instrument of repression and control). 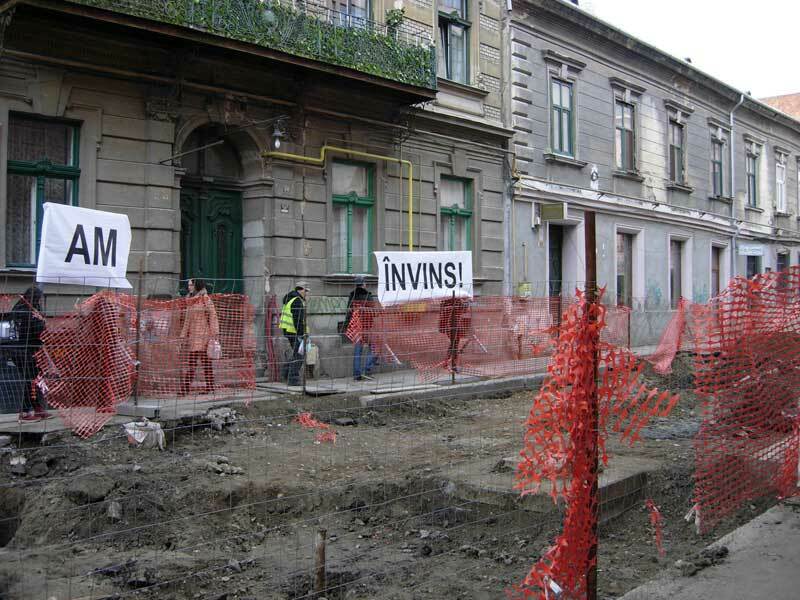 We discussed the whole time with the passers-by about the revolution, which is never over, which must always be re-won.